The Bold & Bright We Are... Inspire U Poster has a smart and simple look that will brighten any classroom space. The motivational chart features playful school supplies such as paper clips, scissors, a ruler, a magnifying glass, a binder clip, and a sticky note. 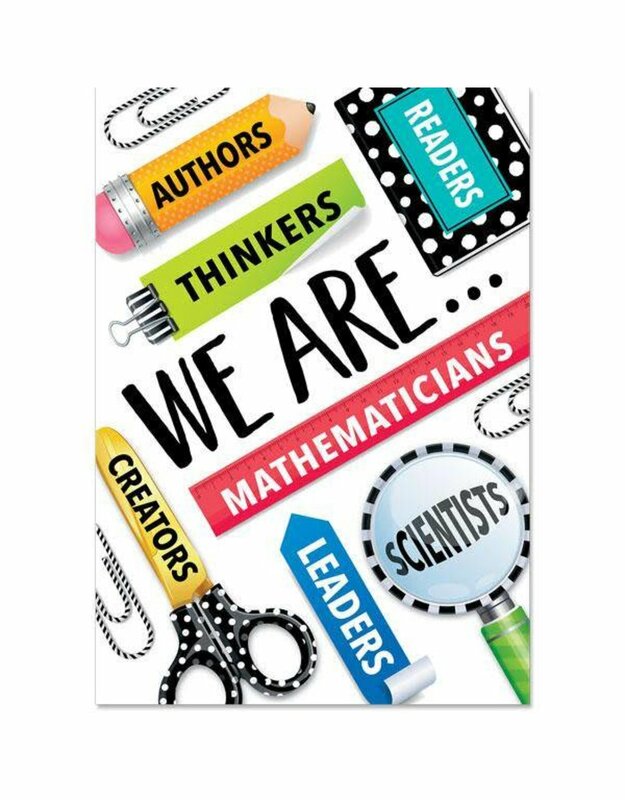 This chart will help reinforce that students are authors, thinkers, readers, mathematicians, scientists, leaders, and creators. Poster measures 13 ⅜" x 19"